You are here: Home / Apple / Mac OS X Threats – Does Mac OSX Suffer From Computer Security Threats? All computers suffer from computer security threats—especially if they connect to the Internet—but Mac OSX’s threat profile can be quite different from that of Windows. Mac OSX is an official form of Unix (at least the server version of Mac OSX) which makes it more like Linux than like Windows behind the scenes. That makes a big difference. Early versions of Windows were designed for Personal Computers (PCs) which were single-user computers. In the days before the Internet, nobody worried about security on single-user computers. After all, why secure a computer from it’s only user? Unix has a different heritage. The earliest version of Unix dates back to the late 1960s when the only computers were huge and expensive. Only large organizations owned computers, so those computers typically had many different users (or operators, as they were called). The early versions of Unix were designed as multi-user operating systems. Now the first few versions of Unix didn’t have any real user security—security is something you add in after a product becomes successful and early Unix was an in-house product at (AT&T) Bell Labs. But eventually Unix got a simple security model built around its users: there is one user with the right to do anything on the computer, called the root user, and that user can give permissions to other users to perform various tasks. Because Unix has had this permission system for nearly 40 years, it has become quite mature and robust, giving Unix a legacy of security which can sometimes be overblown. But even when Unix’s security is overstated, Window’s security still hasn’t reached the same level of maturity. Windows NT (the server-side predecessor to Windows XP and Windows 2000) was the first version of Windows to contain a true multi-user mode. Windows Vista was the first version to have a true root-like user mode. And even today, Windows lacks Unix’s true separation of privileges. Unix is famous not only for its security but also for being difficult to use, but if you know anything about Mac OSX, you know that most people find it quite easy to use. To make that happen, Apple made a few security concessions which increase the computer security threat on Mac OSX. Mac OSX still has a root user, but it also has a group of users known as administrators who can act as the root user for a brief period of time (usually just long enough to run a single command). This lets anyone in the administrator account install potentially-dangerous software, just like on Windows. However, unlike Windows, the separation of privileges makes it much more difficult for a bug in one program (such as the Web browser) to let a virus infect a user’s account. And if the virus can’t get that initial foothold, infecting the computer becomes much more difficult. That said, Mac OSX still suffers from plenty of computer security risks and still needs some protection, but happily it’s more secure than versions of Windows up to Windows 7. It is possible for an Apple Macintosh computer to get a virus, so the short answer to the question is Yes. However, the likelihood of an Apple Macintosh user getting a virus when compared to a Microsoft Windows user is very little to none. 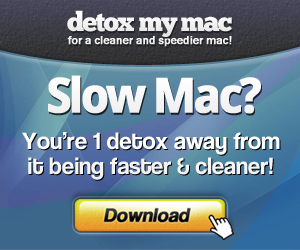 In fact, many of the Apple Macintosh users don’t even run an antivirus protection program.